Ongoing discussions on internationalizing the human rights movement have focused on geographically decentralizing international NGOs based in the global North, and on scaling-up the geographic reach of national and regional organizations based in the global South. Diversity, however, requires more than either a geographic or a North-South lens. Geography remains vital, of course. The physical location where activists set agendas, make decisions and mobilize resources all matter. Groups working directly with rights-seekers in their communities are often best positioned to document rights violations and identify appropriate remedies. Hence, ensuring that local groups can access networks, mechanisms and resources both within and beyond their borders must be prioritized. Not all geography is North-South, however; we must also focus on building stronger links between the national and the local, the urban and the rural, and the global and the regional. Yet geography is not the only thing that matters. Today, the human rights movement is diversifying in other important ways, sometimes with even more profound impacts. These new forms of diversity include new approaches to tackling human rights issues, new kinds of human rights problems, new collaborators and partners, and new alliances with other movements. These diversifications all have a role to play in deconstructing the existing systems within which we work—be they social, economic, governmental or civil society—and in rebuilding them to be more relevant, responsive and effective. Research, advocacy, and litigation have long been principal human rights strategies. We must continue to hone these skills, but human rights groups are discovering new tools, from budget monitoring and forensic accounting, to gaming, video advocacy, documentary filmmaking and photography, and visual and performance art. Technology has unlocked a range of opportunities and risks that activists are exploring to organize, research and campaign. As a result, the movement is increasingly populated not only by lawyers and researchers, but also by economists, entrepreneurs, technologists, urban planners and artists, all of which have different perspectives on human rights problems and solutions. This greater diversity of players is leading to engagement with a wider range of institutions, including multilateral bodies and courts, such as the European Court of Justice in Luxembourg or the World Bank Inspection Panel, and international financial institutions and multinational corporations, such as the International Finance Corporation, or Unilever. Global human rights agendas are also becoming increasingly varied. As the movement expands to include groups working on issues of economic inequality, marginalization and discrimination, as well as the human impacts of development—to name but a few players—the debate over what should be on and off the agenda becomes more complex. The most important voices, however, are those of the rights-seekers themselves. All kinds of groups and constituencies now use rights-based strategies to advance their causes and address societal inequities. 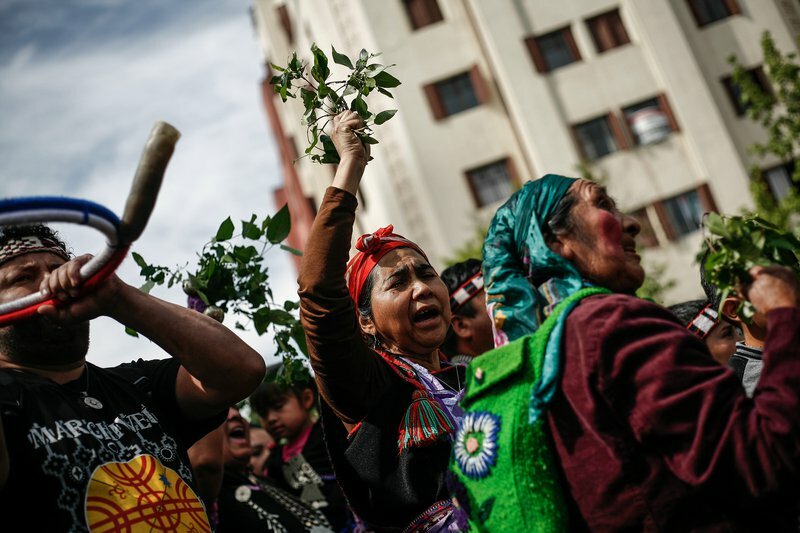 Indigenous groups, ethnic minorities, religious groups, people with disabilities, LGBTI people, women, children, migrants and many others are all claiming their human rights. All are pushing the human rights infrastructure at the local, national and international levels to reflect their realities more fully. They are building networks with rights activists in their own communities, and seeking alliances with others working on similar issues elsewhere. Diversity is the cornerstone upon which we can build solidarity across geographies and issues, and enrich our strategies to defend existing rights protections. This diversity is creating innovative policy and practice. Groups are building new mechanisms for the promotion and protection of rights, including developing new standards, such as the UN Convention on the Rights of Persons with Disabilities. They are also inserting rights into existing mechanisms, as with advocacy around the World Bank Safeguards Policies review. Groups are also using new strategies, including donor initiatives to bring together donors and advocates to decide jointly on resource allocation. The debate over the geography of power within the global human rights movement remains pressing and relevant. Other lenses are also important, allowing us to see, and to use, our diversity for mobilizing greater awareness of, and support for, human rights. Different issues require different responses, and by drawing on its diversity, the movement can respond with more effective tools and more relevant actors, in more places around the world. The space for activism and civic engagement is closing in many countries, from Russia and Egypt, to Spain and India. There is also a growing, worldwide attack on human rights infrastructure and institutions. In response, our movement must find strength in diversity. Diversity is the cornerstone upon which we can build solidarity across geographies and issues, and enrich our strategies to defend existing rights protections, and to push for even more. Some argue that the human rights system is collapsing and increasingly irrelevant in our new, multipolar world. The growing diversity of the people and groups comprising the human rights movement, however, tells a different story.